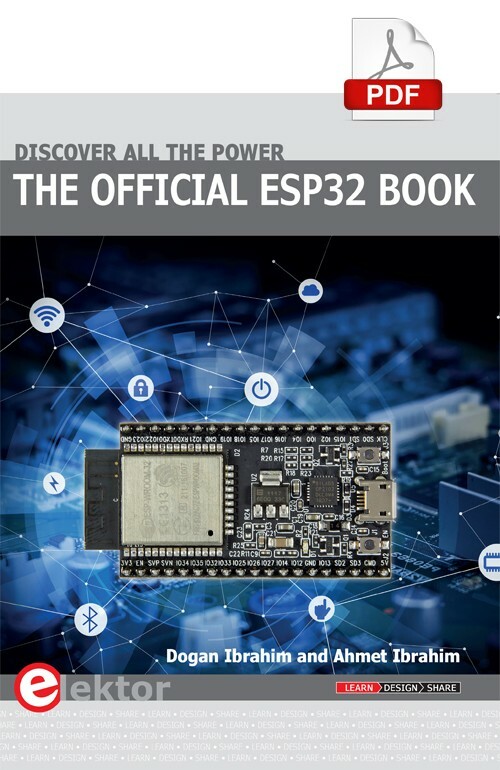 The ESP32 chip is the big brother of the ESP8266: more SRAM memory, higher CPU speed, Bluetooth communication and a greater number of interface pins are just some of its features. 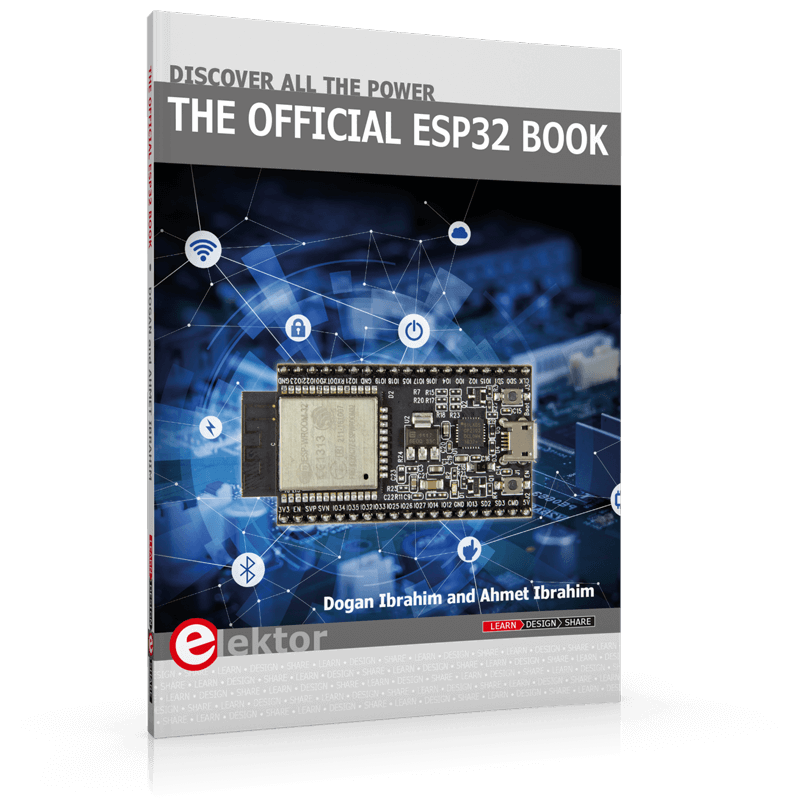 Development boards such as the ESP32 Pico Kit make handling easier, they come already equipped with all the essentials such as an antenna, a voltage regulator and a USB interface. The use of pinheaders allows it to be plugged into a breadboard where an application circuit can be built around it. 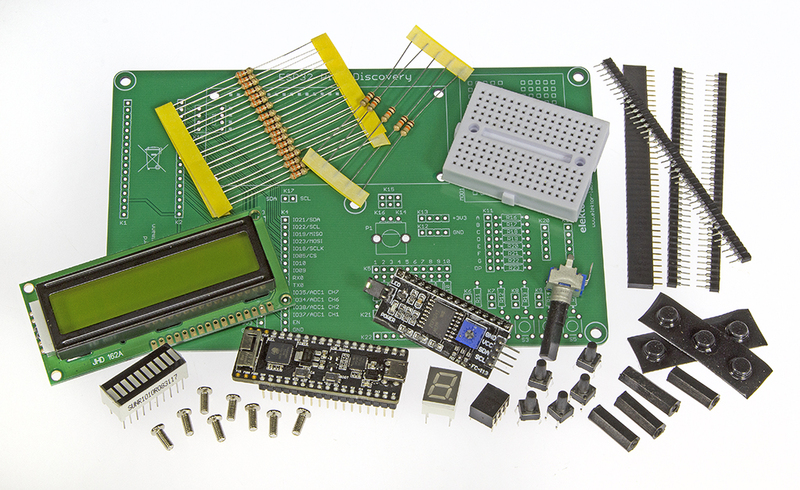 Some of the other necessary components such as pushbuttons, LEDs and a display are not always to hand. 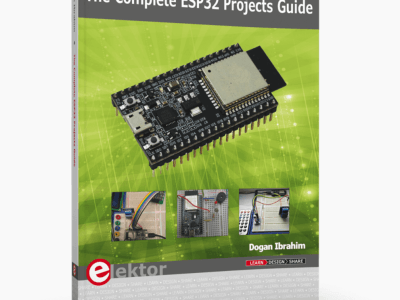 This is where the ESP32 Pico Discovery Board comes in, along with these essential components it also has a potentiometer and 7-segment display on one neat board.